The Compassion Collective asks what kind of person will you be? 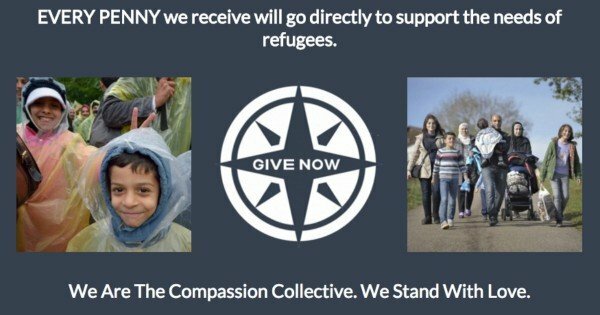 The simple question that helped raise over $1 million in just 31 hours. It’s the question that’s been shared thousands of times on social media and helped raise over $1 million in just 31 hours. 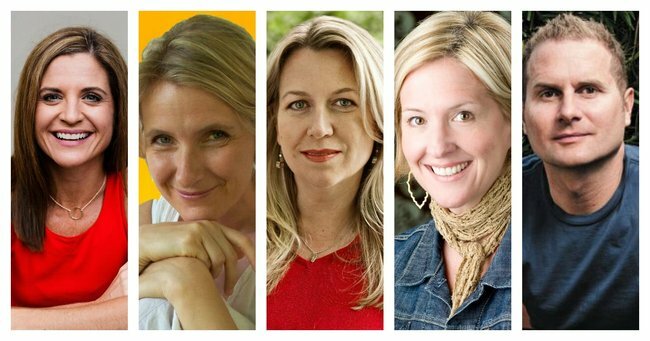 The Compassion Collective – helmed by authors Elizabeth Gilbert, Brené Brown, Cheryl Strayed, Rob Bell and Glennon Doyle Melton – put out the call across Facebook yesterday as the authors asked: What kind of people will we be? 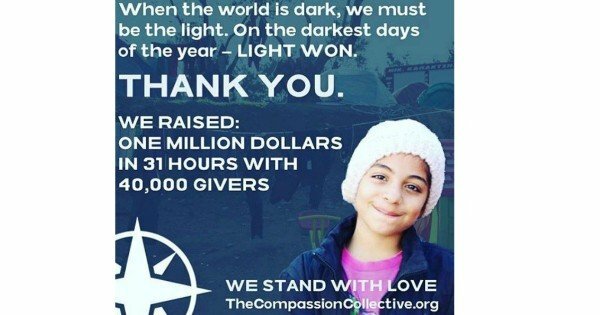 After a year marred by tragedy with terror attacks in Paris and the shattering images that emerged from the European refugee crisis, it’s not surprising this simple question struck a chord across the globe as the authors asked their followers to use compassion as their north star as we strive to become the generation who is remembered for choosing love over fear. But how does choosing love translate in practice? And where do we find the light when the world is so often tainted darkness? When it’s so easy to turn off our devices and turn away – from the millions of Syrian children who have been displaced by the violence and terror that have tarnished their young lives to the homeless men and women we see on our own streets – how do we choose to be the people future generations will be proud of? 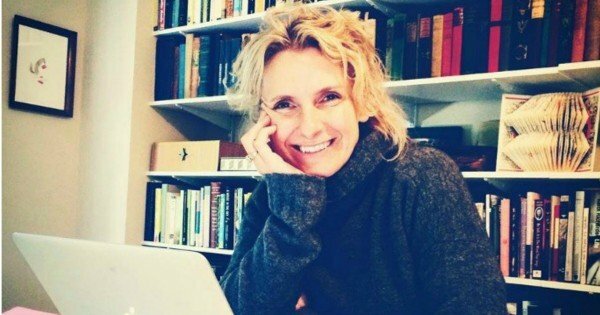 Elizabeth Gilbert, author of Eat Pray Love and Big Magic, posed the question to her Facebook followers. Question of the day: WHAT KIND OF PEOPLE WILL WE BE? If I have ever written to you from the heart, it is right now. So here’s a question: Have you all seen the movie SCHINDLER’S LIST? Have you all read THE DIARY OF ANNE FRANK? Did you ever read NIGHT, by Elie Weisel? Or Nelson Mandela’s autobiography, LONG WALK TO FREEDOM? I know you have. We all know these stories. They are painful stories, from history. 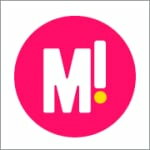 They tell of impossibly brave people, suffering during impossibly difficult times. For instance: If I were a German industrialist during World War II, what would I have done? Would I have risked my life to save the lives of so many others? If I were a common householder in Holland during the Nazi occupation, would I have hidden a Jewish family in my attic? In the 1980’s in South Africa, would I have gone to prison to stand up against apartheid? Would I have marched in Selma with Martin Luther King, Jr? For that matter, back in the 19th century, would I have been an abolitionist? Woud I have hid slaves in my house, on the Underground Railroad? Or here’s a question, apropos to the holiday: If I were alive 2000 years ago, and a wandering Middle Eastern couple from a distrusted minority — a pregnant woman and a desperate man — knocked on my door in the middle of the night and asked for shelter…would I turn them away? Or would I give them a place to rest? Because sometimes we aren’t so sure that we would’ve been on the right side of history — on the side of justice and compassion and courage. Dear Ones — here’s the thing. History isn’t over. The story is still being told. And we have the chance to show — today and every day — what kind of people we are. Right now. The biggest humanitarian crisis in the world right now is the refugee situation in Europe. These people (our human sisters and brothers) are starving, freezing, dying, suffering. There are children with rotting feet who are sleeping in the mud, who need shelter and warm clothing and food, or they will die. 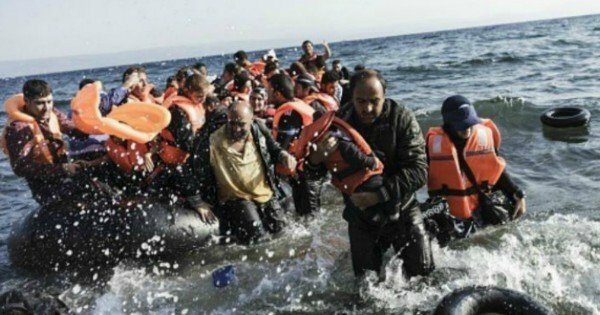 There are people being fished out of the ocean, freezing and half-drowned, who need warm blankets and heaters, or they will die.. There are women standing at borders, begging guards to let them pass, begging, “Either let us in, or please kill us now” — because they cannot bear to watch their children starve and suffer for another day. Yesterday, I asked you to stand in love with me and my friends Cheryl Strayed, Brene Brown, Rob Bell and Glennon Doyle Melton in our audacious goal to raise one million dollars for refugee aid. You guys, we are almost there. YOU ALREADY HELPED US TO RAISE ALMOST $550,000 FOR REFUGEE RELIEF.. Which is incredible and powerful and beautiful — and all of it with donations of $25 or less…thereby proving that it doesn’t take much to be part of something huge. It doesn’t take much to put yourself on the corrrect side of history. At a time of year when you would be excused for just thinking about your own list of obligations, and stresses, and busy-ness, you were able to turn your thoughts toward the most desperate people in the world….and you have helped them. Lives will be saved because of this. Immediately. I was able to speak last night to our partners on the ground in Greece (the amazing British start-up humanitarian organization HELP REFUGEES) and they literally could not stop crying in gratitude. These people — the rescuers — are people who do not sleep. (That is exactly what our friend Dani said through her sobs: “You have to understand: We do not sleep.”) All they do is HELP. All they do is give. All they do is pull people out of the water, and try to feed the hungry, and try to find shelter for the old and the sick, and try to save the lives of children whose feet are rotting in the cold. Your money will save LIVES. Immediately. These people from HELP REFUGEES are my heroes. They are not professional anything…they are just regular, untrained British citizens who went to the beaches of France and Greece and said, “We are here. What can we do?” They are just regular people who cannot turn their backs on suffering. They do not sleep, because they never stop helping. They do not sleep because these are people who will not let suffering win, who will not let suffering have the last word about life. These are people who insist that the last word about life must be LOVE. This is the kind of person I want to be. Not in the abstract, not in some imagination of the past, and not someday in the future. But now. Right now. Right here. That is why I am doing this. That is why we have created www.thecompassioncollective.org. Because when I look into my soul and ask, “Did you show up? Did you help?” I need the answer to be YES. And for those of you who already gave — please believe me when I tell you that you are an Army of Love. You have done something stupendously important, in real time. And if you want to donate again today (I have heard from several people who are making donations in their family members’ names, for Christmas gifts), keep doing it. If I have ever asked anything of you, it is now: I ask you to share this post, and share this link to TheCompassionCollective.org. The more you share, the more we can help. I know that Brene and Cheryl and Glennon and Rob are the biggest-hearted and most stubborn people I know. I am determined to be big-hearted and stubborn, as well. I know that you are big-hearted and stubborn, too. Let’s do this! When we say we’re gonna raise a million dollars…heaven help us….we’re gonna raise a million dollars. Because the final word of every human conversation absolutely has to be LOVE….or else, what are we even here for?